The Caprichosa Sofa by Koket will make a glamorous addition to a bedroom suite or living space. Luxurious and sophisticated, the two-seater design is soft to the touch with a plush and comfortable fill. Available in many beautiful hues, the velvet upholstery is complemented by four circular accent pillows. 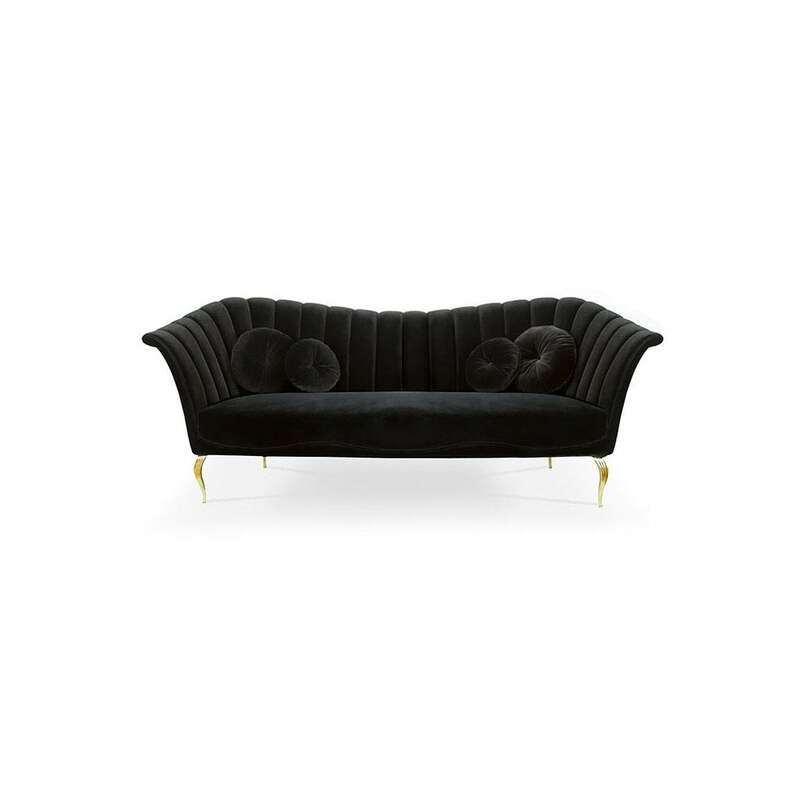 Following the winged curves of the back and sides, the sofa is finished with delicate polished brass feet. Also available in radiant copper and stainless steel. Choose from a high gloss or matte finish to suit your interior scheme. Make an enquiry for more information.